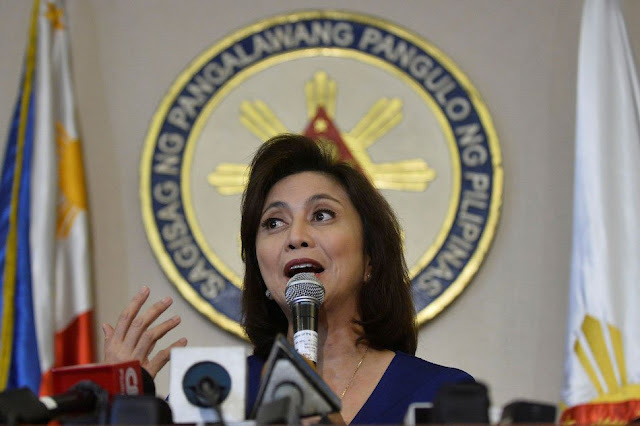 MANILA - The Commission on Audit (COA) has flagged cash advances for local travels made by personnel of the office of Vice President Leni Robredo that were not liquidated within 30 days. In its annual audit report on the Office of the Vice President, the COA said traveling expenses of the agency amounted to P26.446 million for local travel and P953,550.75 for foreign trips in 2017. Delays in liquidation ranged from two days to 116 days. “Review of liquidation reports for the local travels showed that the pertinent cash advances were not liquidated within the prescribed period of 30 days upon return to the employee’s workstation, in violation of Section 25(5), Chapter 6, Volume I of the Government Accounting Manual,” the COA said. Verification of state auditors also disclosed that unused or excess cash advances, ranging from as low as P300 to as high as P62,000, were not refunded immediately by OVP personnel. The COA also noted that there were missing equipment worth a total of P52,550, included a paper shredder, a printer and a portable radio communication device. An ambulance donated during the term of Vice President Jejomar Binay but was already returned to the Philippine Charity Sweepstakes Office was not derecognized in the books. “The failure of the accounting unit to derecognize the returned vehicle resulted in the overstatement of the accounts Motor Vehicles, Accumulated Depreciation-Motor Vehicles and Accumulated Surplus (Deficit) by P866,000, P235,057.20, and P630,942.80, respectively," the COA said.